Sumant Mandal is Co-founder of The Fabric that works with entrepreneurs to help co-create networking companies. Sumant is a Managing Partner at March Capital Partners, an early and growth stage tech venture fund. Previously he was a Managing partner at Clearstone Ventures. Clearstone has over $600 million invested, 9 IPOs, and nearly a dozen M&A exits, and has remained steadfast in its love of building great companies alongside great entrepreneurs. It was an early investor and leader in companies such as PayPal, Internet Brands, GoTo/Overture, and United Online. Some of the companies where he has worked closely with the founding teams and helped incubate the company concepts are Rubicon Project (private), Cetas (sold to VMware), Apture (sold to Google), Ankeena Networks (sold to Juniper Networks), Mimosa Systems (sold to Iron Mountain), and Kazeon Systems (sold to EMC). He is currently on the board of a number of companies including Rubicon Project, BillDesk (India), Games2Win (India), Openbucks and ThisNext. Sumant initiated Clearstone’s investment interests in India. 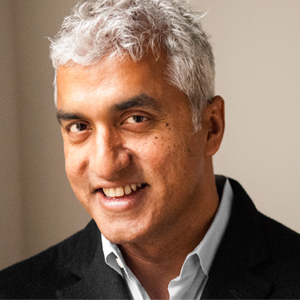 Prior to Clearstone, Sumant spent more than eight years as an entrepreneur involved in starting companies both in India and the United States. Sumant has an MBA from the Kellogg Graduate School of Management at Northwestern University, and a BS in Electrical Engineering from Michigan State University. He is a Charter Member of TiE.